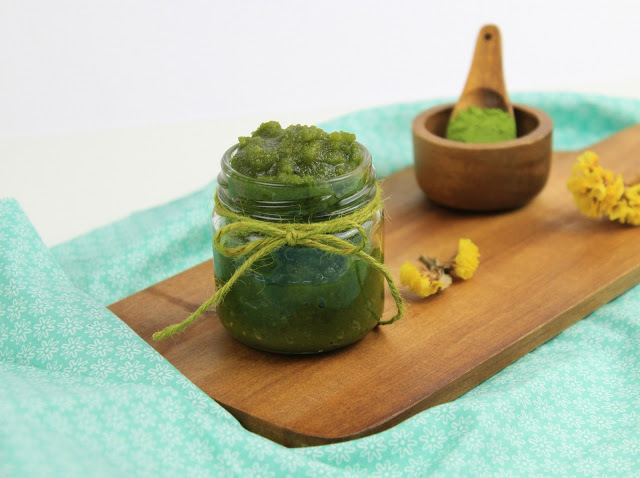 Diy Matcha Green Tea Face Srub ane enjoy a relaxing home spa! Face cream afterwards and your skin will be smooth and perfect! The weekend passed and I have to admit that it was really great even thought the weather was more like the typical weather for Autumn! But again, I am not sure I can accept that, but this is another story! So, being a little bit cold outside, with my princess being a little bit sick, there was not that choice to go for a walk. The perfect time to stay home and play with the kids, enjoy a book, while at the same time I have again discovered my beloved tea flavours I had hidden in my kitchen’s shelf. And this was the time that I saw the Matcha Green tea! 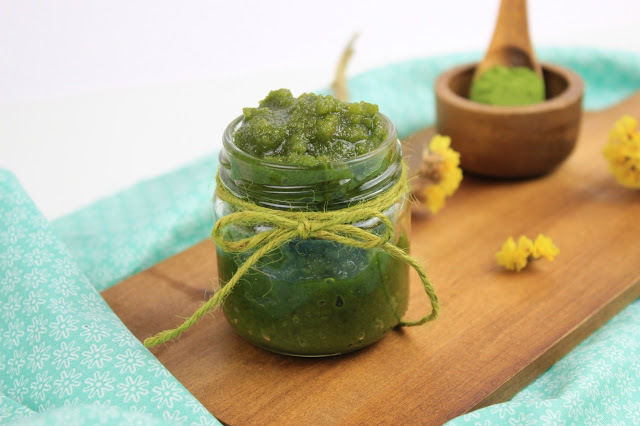 Ok… a recipe and a beauty diy just for you. let’s start with the beauty first!!!! 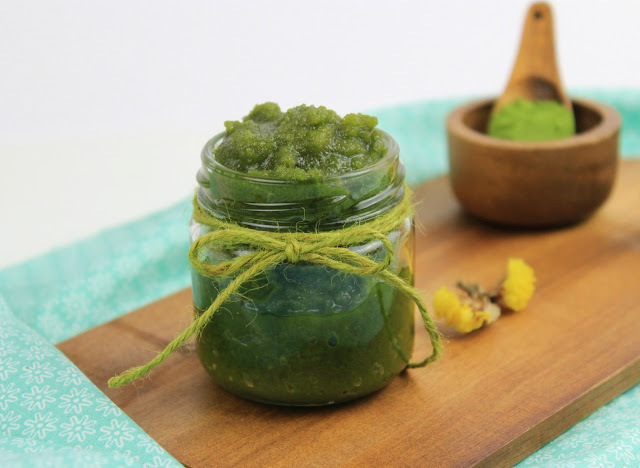 Matcha Green Tea Face Scrub! The easiest way to use it is of course a face scrub! You will need only three incredients and it is just the perfect way to make your skin feels smoother and of course to looks younger! What else I have used? Grape seeds oil! 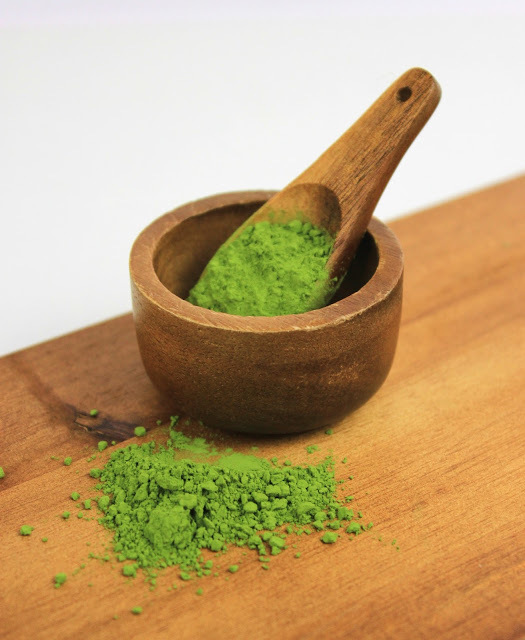 This is the first time I have used it in my beauty homemade products, but when I discovered its benefits also, I decided to combine it with Matcha Powder…just the perfect combination! 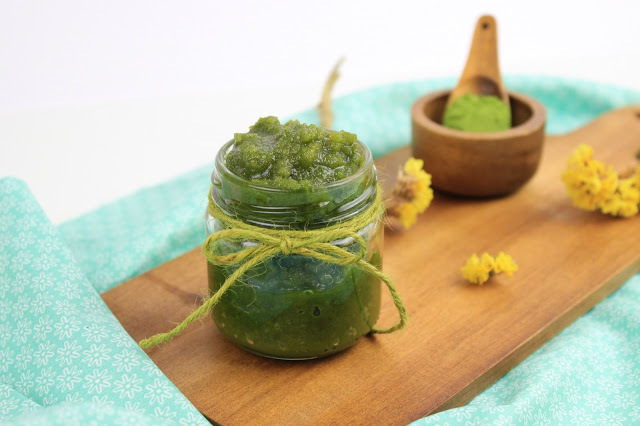 The grape seeds oil is rich in vitamins C, D, and E – all of which help in reducing wrinkles and scars. It helps in tightening the skin. The oil also helps balancing both the dry and oily patches on the skin. As a toner, the oil can penetrate pores and cleanse the skin – thereby curing breakouts. The procedure is the usual one. Because we are using brown sugar, first add it in the food processor and make it powder. In this way it is easier to use it on our face. In a small bowl combine all the materials together and start stiring them. Place in air tight container and store. Your face scrub is ready! Happy Crafting and have a nice relaxed homemade beauty spa! And if you are looking more about super foods just visit focussupplements and check the products! You can even find your own nootropics!!! Γειάσου Ζηνά,βλέπω ότι η ανάρτηση σου έχει ενδιαφέρον ιδιαίτερο αφου τις περισσότερες γυναίκες απασχολεί το θέμα της προσωπική φροντίδας.Σευχαριστούμε για τις ενδιαφέρουσες πληροφορίες! 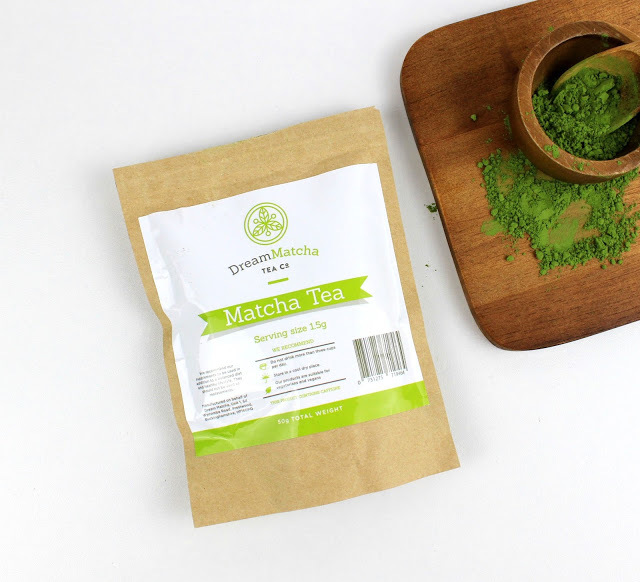 Επιτέλους έμαθα για το Τσάι Matcha που έβλεπα! Thanks για την πρόταση ομορφιάς! Ωραία συνταγή, Ζίνα μου. Τσάι και σταφυλοκουκουτσέλαιο κάνουν αχτύπητο δίδυμο. Μου άρεσε η ιδέα να βάλεις τη ζάχαρη στο μούλτι. Πολλά φιλιά. Πραγματικά το έχω αγαπήσει αυτό το τσάι. Η πρόταση σου ει αι φοβερή δεν γνώριζα ότι το χρησιμοποιούμε και έτσι! Εγώ για την ώρα Matcha latte έπινα! Ω ναι!!!! και εχω και αλλη πρόταση, αλλά σιγα σιγα. Πάντως και σε beauty dyi ειναι απο τα βασικα συστατικα πλεον! Δεν το έχω πιει… Λες να το δοκιμάσω αλλιώς; Ενδιαφέρουσα πρόταση! χαχαχα λες ε; Γιατί όχι! Ετσι και αλλιώς και αυτά κάνουν τελεια δουλεια!